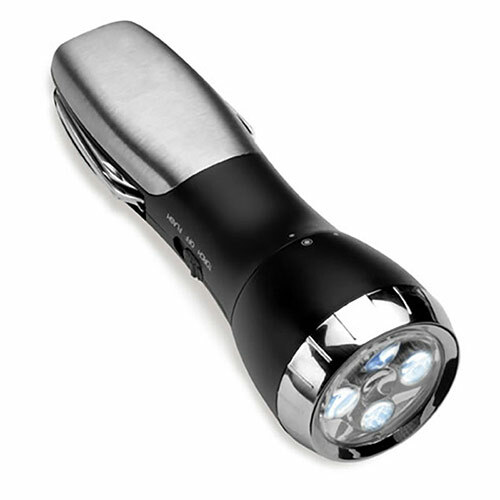 As stylish as it is practical, these LED torches with multi-tool make great corporate gifts or branded merchandise for men. 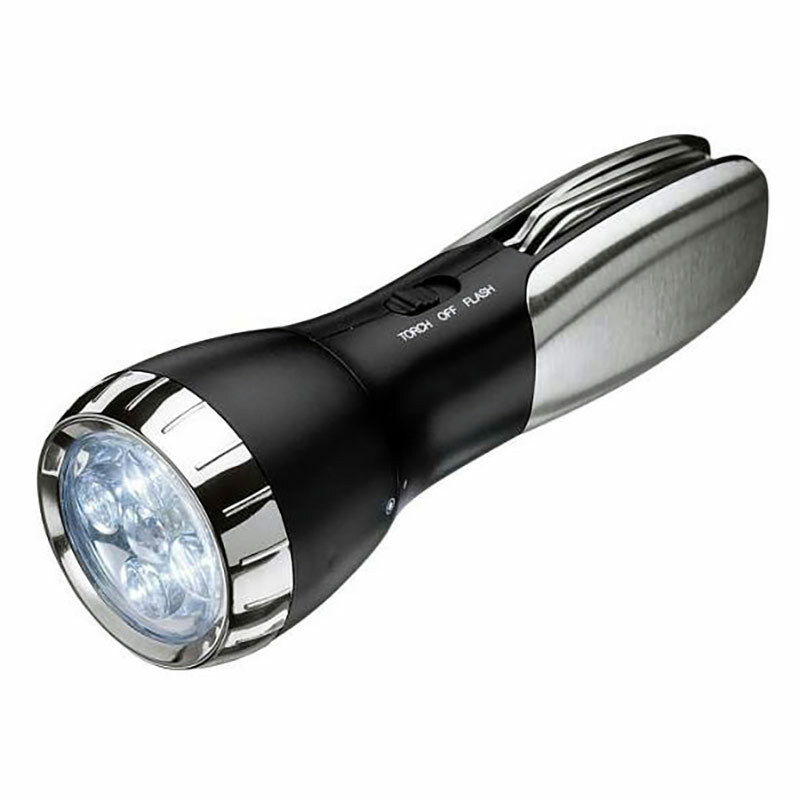 Neat and compact - it measures just 138mm in length - these torches feature a bright and energy efficient LED light. It is powered by 3 AAA batteries, which are included with the item. 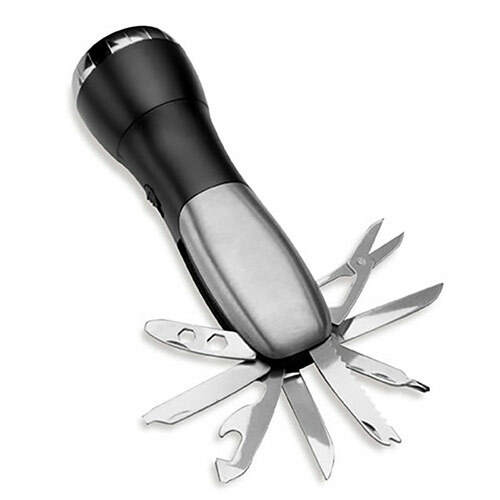 The body of the torch features 8 fold-out tools. These versatile accessories can be customised by engraving on the body of the torch, and they are offered here with free text and logo engraving. We also offer bulk order discounts (see price matrix, above) and fixed price UK delivery, regardless of the size of your order.